Sir George Thomas Thalben-Ball CBE (18 June 1896 – 18 January 1987) was an organist and composer who, though originally from Australia, spent almost all his life in Britain. 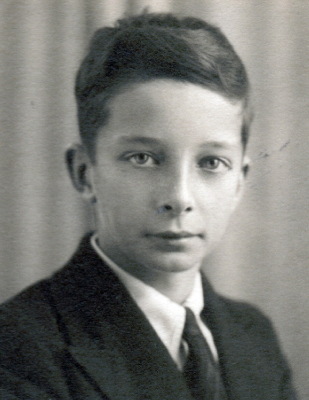 Born in Sydney, of Cornish parents who brought him back to the UK when he was four years old. He studied organ and piano at the Royal College of Music (RCM) in London, which he entered at the unusually young age of 14. The level of his talent can be gleaned from the fact that he played the solo part in the first performance by an English-trained pianist of Rachmaninoff's famously difficult Piano Concerto No. 3. 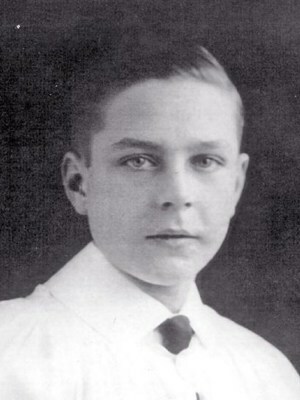 This event occurred in 1915 at the RCM, when he was aged 19. 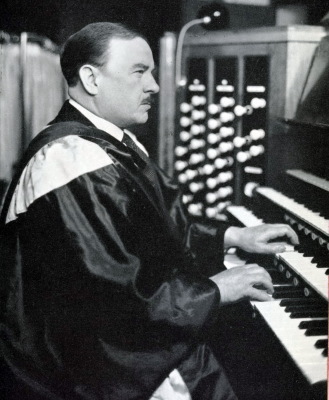 After graduating from the RCM the young man was asked to deputise as organist at London's Temple Church by its then organist, Sir Henry Walford Davies. In 1923, he succeeded Walford Davies as organist and director of the Temple Church choir, a post he held for nearly 60 years. Under his direction, the choir achieved in 1927 international fame with its recording of Mendelssohn's Hear My Prayer, featuring Ernest Lough as the treble soloist. This recording was followed by a number of others on the HMV label. Ernest Lough and his recordings have their own special webpage. ​​Thalben-Ball composed several anthems and organ works, of which the best known is his meditative Elegy for organ. This piece originated in an improvisation which Thalben-Ball played at the end of a live BBC daily religious service during World War II, when the service finished a couple of minutes earlier than expected. So many listeners to the broadcast telephoned the BBC to ask what the composition was, that he decided to write down his improvisation as well as he could remember it. He compiled, in addition, a complete set of chants for the psalms, most of them being his own work; this set was published as The Choral Psalter. ​In 1935 he was awarded the Lambeth degree of Doctor of Music. From that time until his knighthood, he was generally known by his colleagues (as Walford Davies had been known before him) simply as "Doctor". A regular radio broadcaster, Thalben-Ball also carried out numerous performances in many concert venues, not only in Britain; he gave the inaugural recitals on the organs of the Royal Albert Hall (where he had the post of curator organist) and the BBC Concert Hall. In 1949, he was appointed Birmingham City Organist and Birmingham University Organist, a post he held for three decades. During this tenure, he gave over 1,000 weekly recitals. He wrote in 1972 an organ solo called 'Toccata Beorma' as a celebration of his links with the city. ​In 1948 Thalben-Ball was elected President of the Royal College of Organists, where in 1915,. at the age of 18, he obtained is FRCO and for many years he taught at the Royal College of Music. Thalben-Ball was throughout his life an unashamed virtuoso, whether as pianist, as organist, or as choirmaster. His style of performance (like that of his younger contemporary Virgil Fox in the USA) was rooted in the 19th century, and made full use of every facility of the modern organ. Even when he was playing baroque repertoire, there would be many registration changes, ample swell pedal and dramatic contrasts in volume. He could sight-read, transpose and improvise in any style and at any length to the highest standard without perceptible effort. Long after many organists had taken up the habit of hiring a deputy for choir-training purposes, he retained full control of his choir, without any assistant organist or voice coach. He was appointed a Commander of the Order of the British Empire (CBE) in 1967 and knighted in 1982. The latter honour was conferred shortly after his retirement from Temple Church. 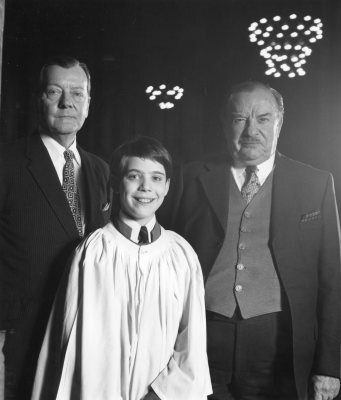 'Hear My Prayer, photographed with Ernest Lough and George Thalben-Ball, 1980. This previously-unseen footage of George Thalben-Ball rehearsing the Temple Church choir in 1958 may have been part of an hour-long programme called “Sunday Special”, which was broadcast on 29 June 1958 on BBC TV. The choir was filmed practising the “Jubilate” and Psalm 126. 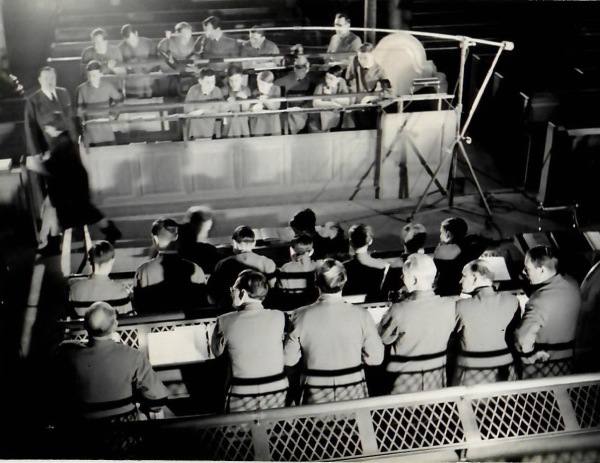 The film was rescued from a skip when Broadcasting House was being refurbished and is the only known film footage of Thalben-Ball and the Temple Choir. It is astonishing to think that the BBC were so unmindful of the cultural heritage entrusted to their care that they simply threw it away. This is an excerpt from a private recording of George Thalben-Ball’s inaugural recital in St Paul’s Cathedral following the Noel Mander renovation, completed in 1977. Thalben Ball was 81 years old when he gave this recital! The Toccata Beorma was composed in recognition of an honorary doctorate that Thalben-Ball received from the University of Birmingham in 1972. This recording kindly donated to the Archive by Nick Ware, sound engineer who made the recording and all copyright remains with him. This is the only informal, extended interview every given by George Thalben-Ball. 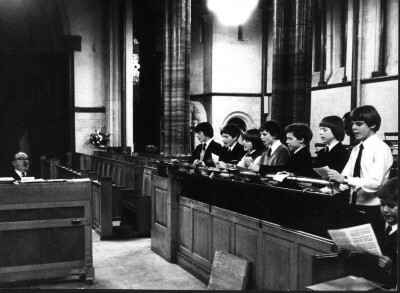 In the early 1970s, Barry Rose and Nick Ware were asked to give a lecture to the Guildford Recorded Music Society and approached GTB to ask if he would agree to talk to them about how the famous Ernest Lough “Hear my Prayer” recording (one of the very first HMV electrical recordings to be made on location with a mobile recording van) came about. As Nick Ware relates: “He readily agreed and, sitting in the choir stalls of the Temple Church, he relaxed, much to our delight, into a lengthy and friendly chat. Barry Rose had just recently been appointed as the Music Adviser to the Head of BBC Religious Broadcasting, a post previously held only by Henry Walford Davies and George Thalben-Ball himself. 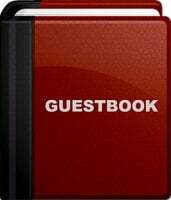 Barry and ‘GTB’ obviously had a great deal in common, and it soon became very clear that this was going to be fascinating, so I kept the tape rolling." A broadcast tribue to Dr George-Thalben Ball in celebration of 60 years as organist of the Temple Church. 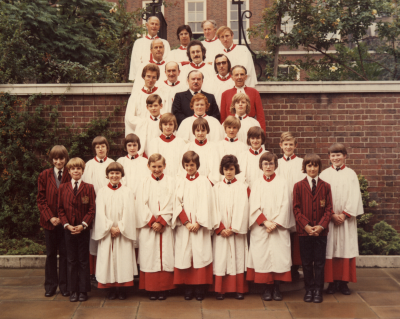 A centenary tribute to organist and Temple Church choirmaster born 100 years ago today. In a radio interview with his father, Robin states that ‘The Souls of the Righteous’ was his favourite of all solos. Very rare HMV test pressing, recorded 3 July 1930, which was never issued as a gramophone record. The choir’s most famous soloist was Ernest Lough but there many others of equal quality (a fact to which Ernest himself readily attested). On this track the soloist is Thomas Meddings, known to everyone as "Meddy"
Click on the photo of Ernest to be taken to his dedicated page and read the fascinating story behind this iconic recording.